We are very proud to tell you that eMedia CS2 is now released. Partners, don't forget to go on your "partner access" and configure your "supply link" for your customers to be able to buy from your website, directly on eMedia CS2. eMedia CS2 can print on all printers (Primacy included). But it won't work freely with the Primacy anymore, as eMedia CS did. - First one: Upgrade from eMedia CS towards eMedia CS2. We offer a 50% discount on the Standard edition of eMedia CS2 for Primacy users. Partners can order via their "partner access" by giving the client's Primacy serial number. - Second one: Stay with eMedia CS (available at the bottom of our download page). It is free for all eMedia CS users that have registered the software with a license key. They have to download eMedia CS2 and install it on the workstation where eMedia CS is installed. Partners, tell your clients about it. If you have any questions or requests, please don't hesitate to contact us. 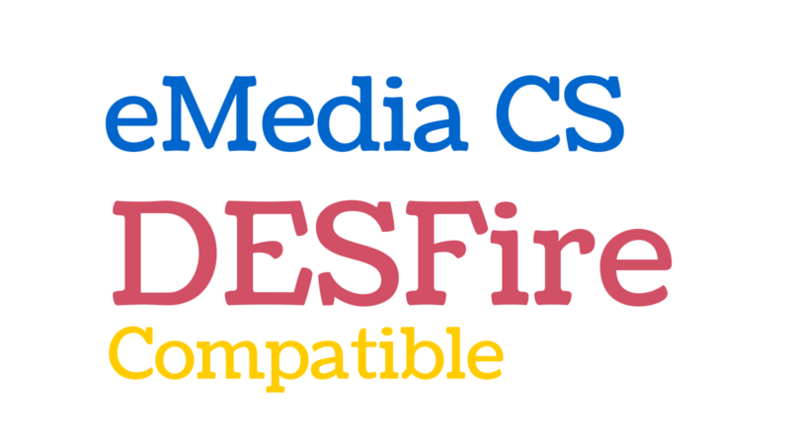 You can now download a brand new version of eMedia CS with DESFire encoding! (and other improvements). If you haven't configured eMedia-CS to automatically check for updates, please go to the download page of our web site. Otherwise, the automatic updating system included in eMedia CS will notify you for these updates and will download and install them. You can now download a brand new version of eMedia-CS: new functionalities and major improvements! Otherwise, the automatic updating system included in eMedia-Cards CS will notify you for these updates and will download and install them.